Dubai began to get its theme park ambitions back on track in 2013 when it won the rights to host the 2020 Expo. The event will attract visitors from all over the world so Dubai wanted to ensure that it has enough facilities to keep them occupied. Its plans have since been streamlined as Marvel characters appeared in a land, rather than a park, inside Dubai’s privately-run IMG Worlds of Adventure which opened in 2016. In the same year Universal put the brakes on its Dubai park and Paramount’s plans are also on hold. However, DreamWorks’ Dubai dream has become reality. 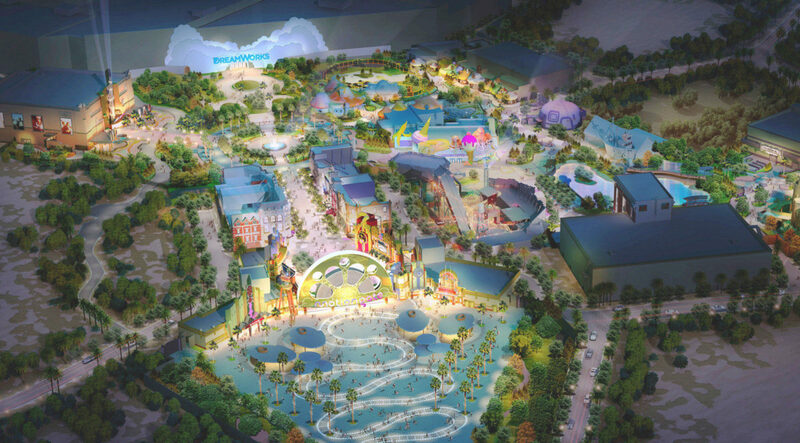 Instead of opening its own park, DreamWorks condensed its plans to fit into the movie-themed MOTIONGATE which is one of the Dubai parks that got the green light. Now grouped under the Dubai Parks and Resorts (DPR) banner, which also includes Legoland and Bollywood parks, guests began streaming through the turnstiles at MOTIONGATE in December 2016. They are greeted by a central avenue lined with buildings which have an air of façades from a film set. Four lands themed to characters from different movie studios fork off from it. Motiongate Dubai is an upcoming Hollywood-inspired theme park located in Dubai, United Arab Emirates. ima’s role was to bring the creative vision and story into reality. This reality will come to life in the guest experience, the moment a guest walks through the front gates. The guests walk through the entry plaza and New York Street into the main hub connecting the lands of the park including Sony Pictures Studio, Smurfs Village, Dreamworks and Lionsgate. ima’s area development created an experience that seamlessly immerses the guests into a world where meatballs fall from the sky and smurfs live in mushroom homes with the articulate design of paving, rails, walls and landscape to communicate the stories and uphold their intellectual properties. ima also envisioned utilizing mature trees and shrubs from the beginning to support the story and provide guest comfort in the Middle Eastern climate. While working with Dubai Parks and Resorts, Gensler, Dynamic Engineering Consultants and other design consultants, ima was the connecting link for each group; creating a balance between the story, the guest experience and the budget with each group.